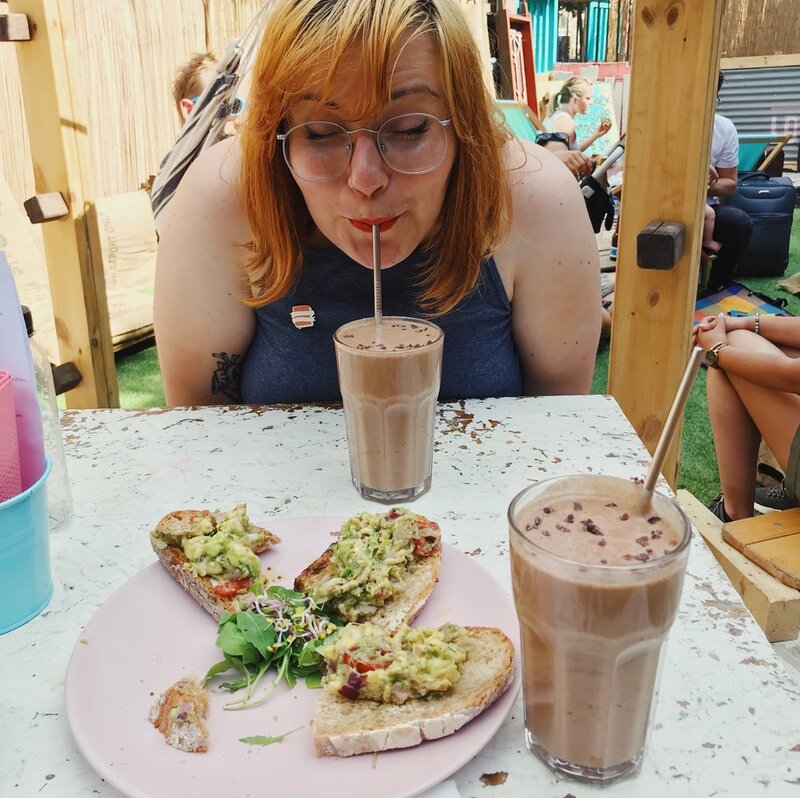 While I'm not vegan, I do regularly eat vegan meals and have also done some vegan months during the last couple of years, which has lead to me going a bit overboard with trying out different vegan restaurants and markets. And because there are loads of different lists popping up all the time, I wanted to share my personal tried and tested favourites. If anything is missing from the list, I either visited and didn’t love it enough to recommend, or it’s still on my list to visit. 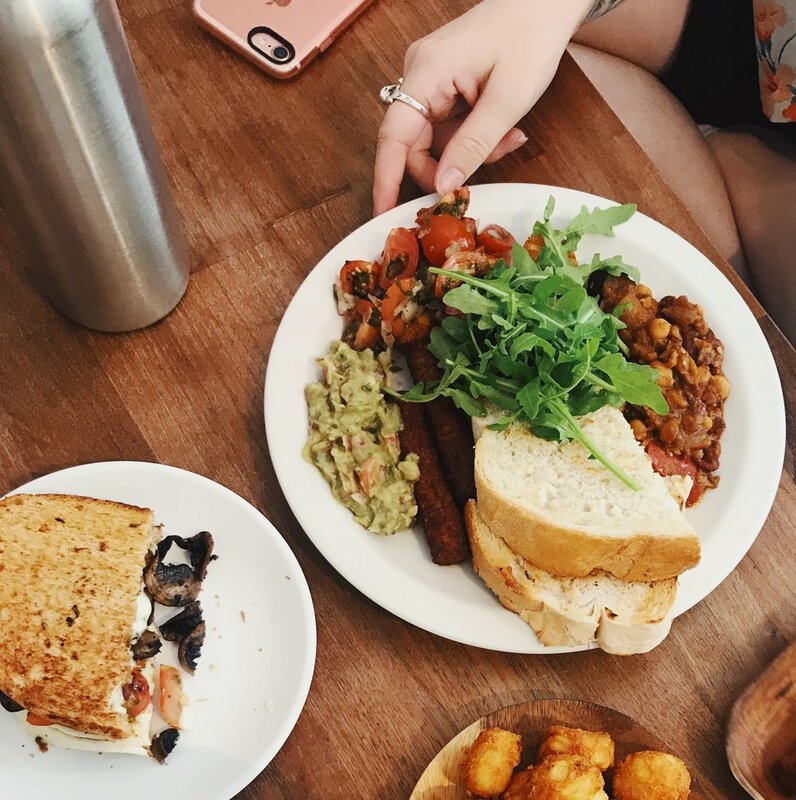 We can all do with some more vegan meals, so check out the list and dig in! Lele's used to be vegetarian and went all vegan last year. It's beautiful and bright little cafe with some great food options, excellent for a quick stop or a lavish brunch. The owner Valentina invited me over to try their autumn menu after I wrote about Lele’s on my blog last year and I loved hearing her talk about how she wanted to create a place where locals can get together. THE Hackney hotspot, with a queue out the door most weekends. Of course it's the Temple of Seitan. I was raised eating seitan regularly, so to me this always tastes a bit like my childhood. They do seitan in a breaded 'chicken' style and my favourite is the burger (but I ask for bbq sauce instead of their ranch one). Try to go on a day when it's not raining or super cold so you can sit outside, as there’s no seating inside and the queues can be long! Love Shack is hidden away pretty well behind wooden walls, but it’s worth a visit, especially on a sunny day. They have a really relaxed vibe and also frequently host yoga sessions. Bonus points for the metal straws (they whole place is plastic free!) and hammocks. The Stable used to be my local and I actually celebrated my birthday there two years in a row. I never knew it was a (small) chain, until we stumbled upon another one in Winchester. I love the brick walls, multitude of plants, long tables to share with friends and live music a couple days a week. They’ve got four vegan pizzas, but you’re also free to adapt some of the other pizzas from their menu. Another old local for me! I went by when they first opened up and tried some of the veggie options at this veggie and vegan American diner. I wasn’t super impressed, but loved it the second time I visited. It’s pretty small, but I think you’ll be okay for seats, though you can book a table too. It’s a nice mix of American comfort food with some healthier options mixed in and I love the decor and super friendly staff. My fave from the menu is the vegan pancake stack! The name can be a bit deceiving, but yes, you can indeed go here for your brunch fix. This gay bar hosts Disco Brunch every Saturday and Sunday which comes with (in their own words) ‘all flavours of drag nonsense, gorgeous breakfast cocktails and brunch specials all day’. 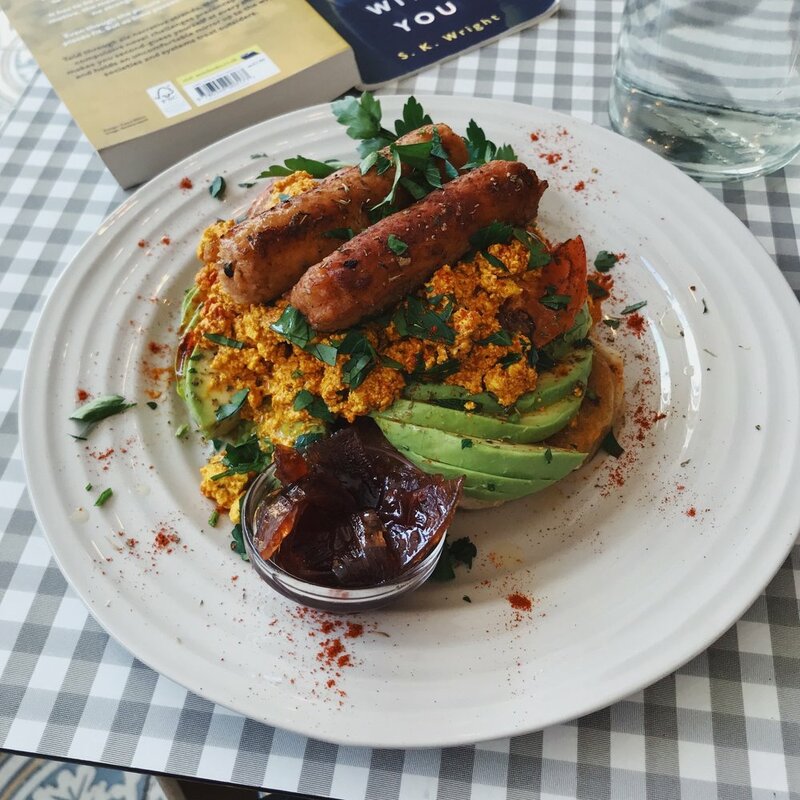 Their vegan options include a full English and a breakfast quesadilla, so head on over when you need some brightening up during the weekend. A New York staple that has made it’s way to London. The Tower Bridge location is pretty new and has a lovely view of the bridge when you sit outside. It definitely won’t be as busy as the Covent Garden location, which gets bad reviews for it’s fast food approach to seating, since it’s often way too crowded. Some of the items are a little bit pricy, but By Chloe does have some of the tastiest vegan food I’ve had. I’d highly recommend the mac and cheese and pesto meatball sub, which is out of this world! Need a place to rest after strolling down the canal? 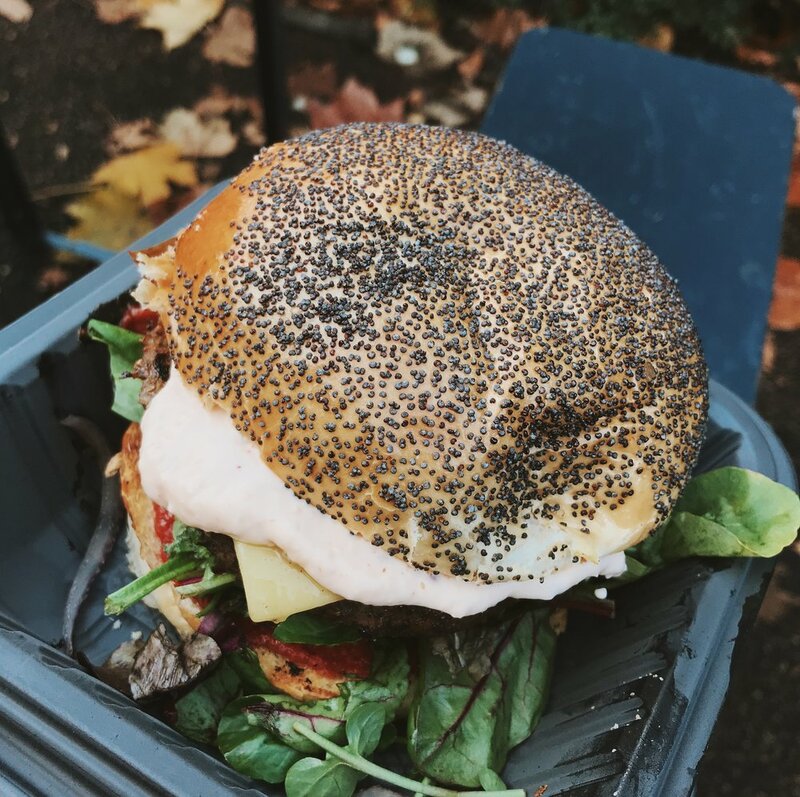 Head over to Mother Works for incredible juices and a fully vegan menu, from some super healthy options to loaded nachos. I love this place to sit and work or just take a break on the couch and read for a few hours. When the weather is nice they open the doors and it becomes even more lovely! Most of their stuff is organic and they’re also working towards becoming zero waste, which is obviously a plus. I don’t think there’s anything on the menu that doesn’t sound amazing, but my favourites from what I’ve tested are the (home made!) nutella and banana waffles, though that might have been a temporary special, and the non-BLT sandwich. You can bet that I’ll be returning here as often as I can. 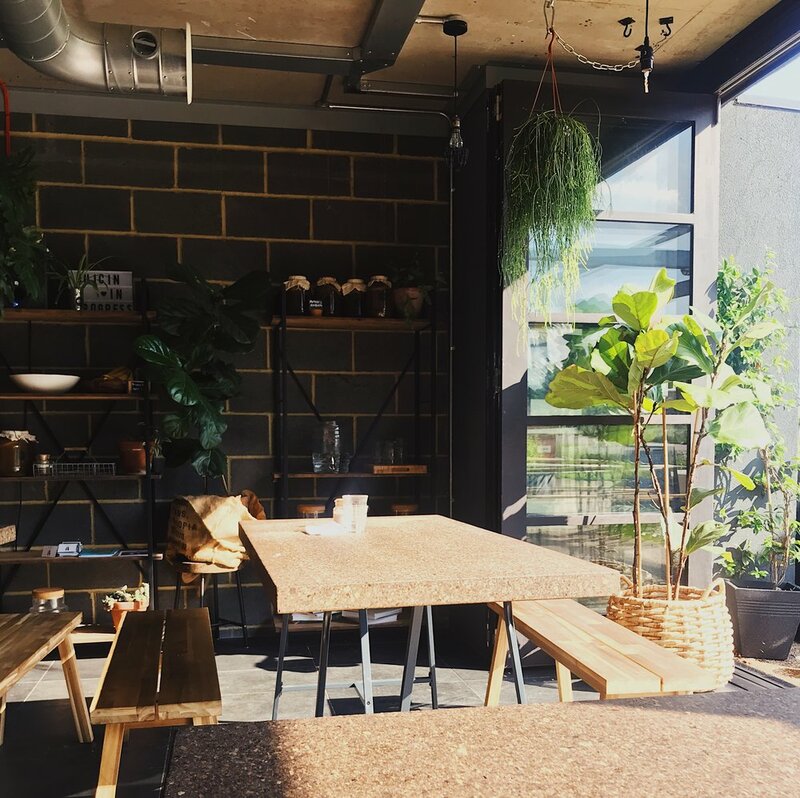 This charity-driven cafe is pretty much the image that would immediately come to mind when you say vegan food, as it has a rustic feel to it. I’ve had some incredible stews there and discovered a home made cream cheese that I immediately tried to recreate, but I’ve also had a very ‘meh’ burger. So take a peak at everyone else’s plate before you order and scope out the tastiest dishes. The atmosphere here is really cosy and it’s a perfect place to do some reading. I really want to head back soon to sample some more of the food options. I recently discovered that I’m just not that into veggie/vegan burgers, but Big V is a massive exception. The sauce is delicious and they even manage to squeeze in some greens and it someone tastes even better because you’re eating them outside. 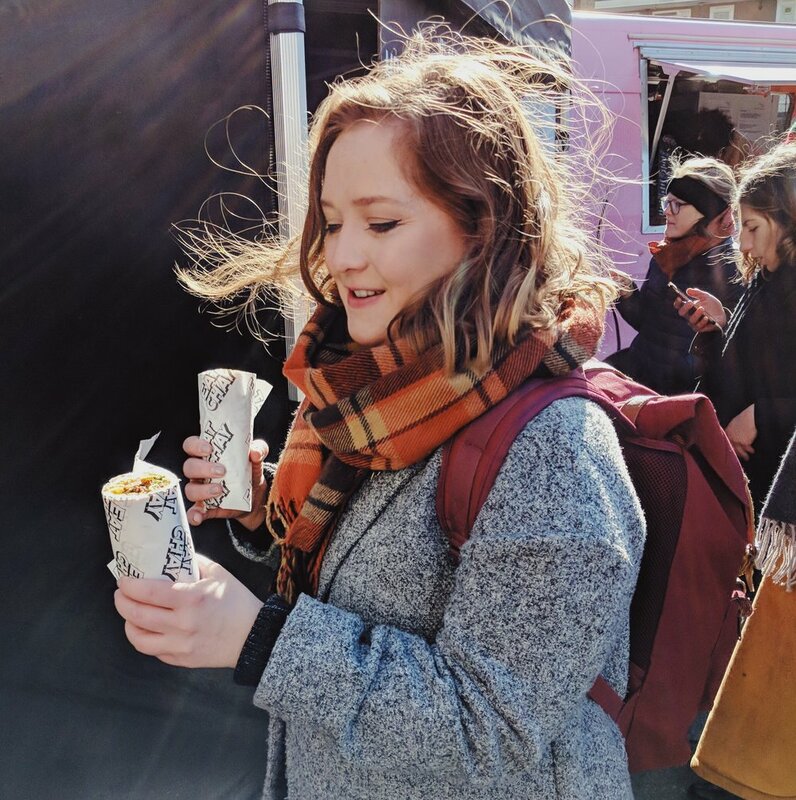 They do a bunch of markets around London, so make sure to track them down. Warning: it’s impossible not to get messy. ‘Bomb flavours, always vegan’. Eat Chay put a modern twist on traditional Vietnamese and Korean dishes. My favourite without a doubt is the Bahn Mi. It’s a baguette filled with lemongrass ‘chicken’ or bbq seitan, topped up with coriander, cucumber and crispy onion. They’re easy to eat on the go or share with a friend (see below 😅). 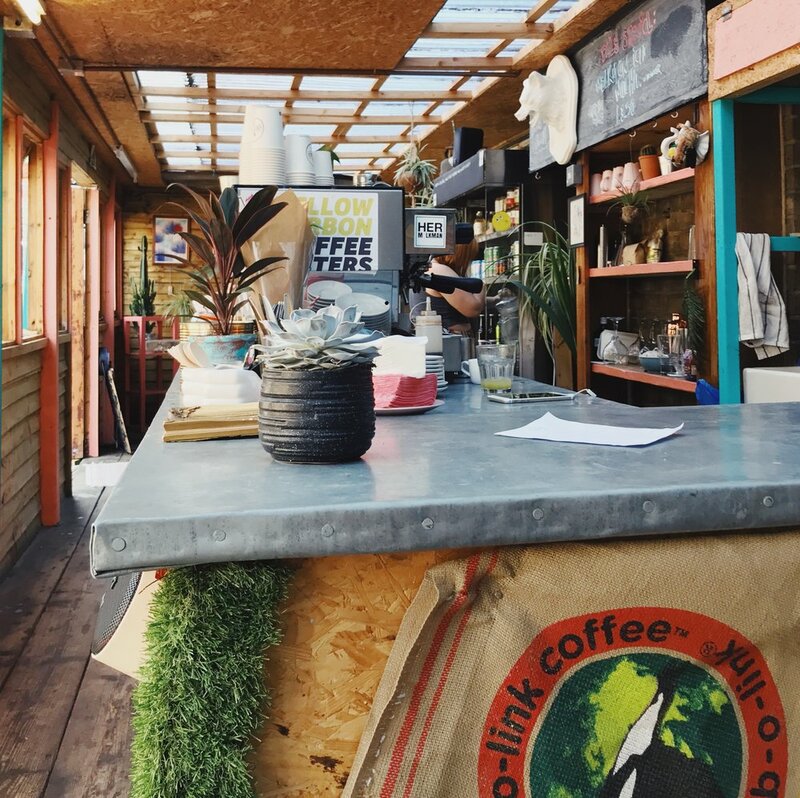 The Boxpark near Brick Lane is now the home to many vegan favourites that I’ve visited in other locations before! Sounds like I need to spend a few more evenings hanging around there. Need something to chow on after an evening of drinks? The Athenian’s Greek street food is the one. I’ve ordered take-away from here on many occasions. Amazing garlic-y sauces + chips in the flatbread wraps = one very happy Sanne. Opt for the box option if you want to avoid the sauce dripping all over your hands. I mentioned the market stall above, but you can now find their divine food at Boxpark too. I love that their food doesn’t make you feel greasy afterwards and it’s also been a hit with with people who aren’t super keen on vegan alternatives. 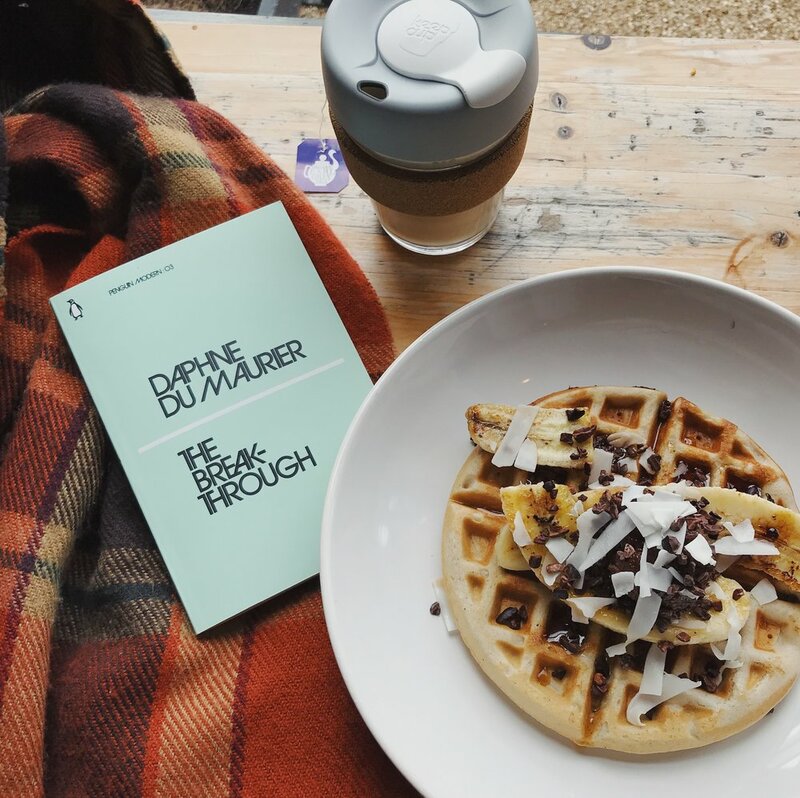 I originally discovered Biff’s at the Broadway Market and also visited them when they took over the kitchen at The Haunt in Dalston, but their new home is the Boxpark. 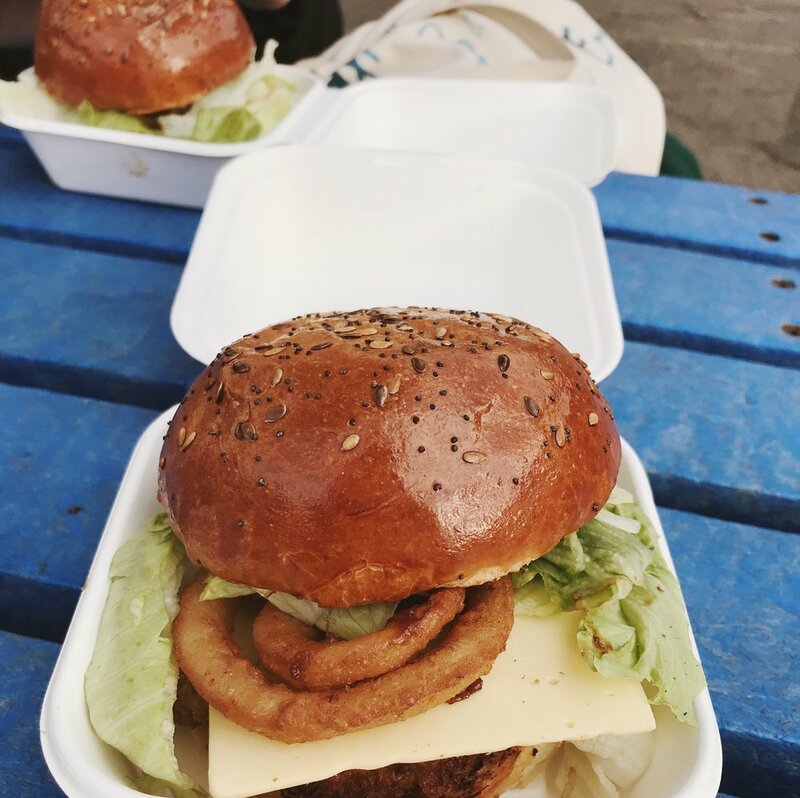 If you like your vegan food a bit dirty and have a love for wings, bbq sauce and onion rings on burgers, this should be your first stop. Anyone else feeling a bit peckish now? There are a couple places left on my to visit wish-list, including Fed by Water and The Spread Eagle, so this post will be updated as I go along. Of course suggestions for other places to visit are very welcome!